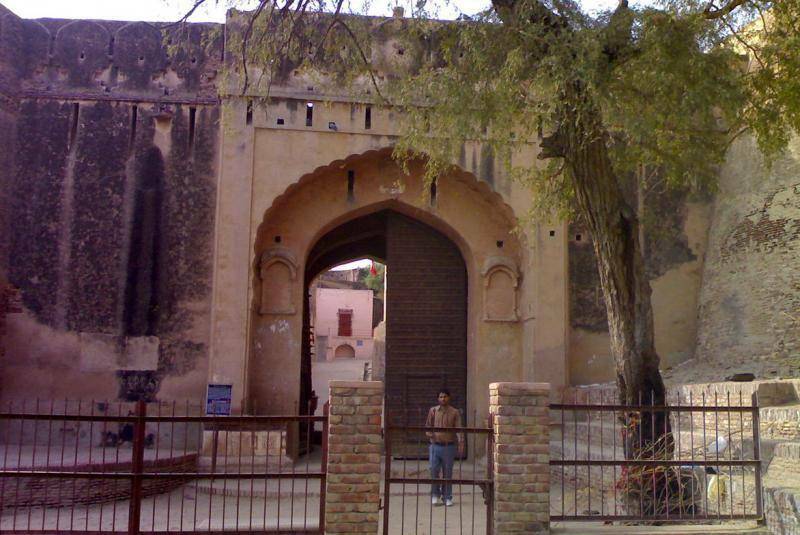 Bhatner Fort, literally meaning the ‘fortress of the Bhatti Rajputs’ is located in Hanumangarh. Believed to be 1700 years old, it was built around 295 AD by King Bhupat of Jaisalmer. The Bhatner Fort rests on elevated land with gigantic barricades. Towering gates surround the fort with big rounded bastions all over. The entire foundation includes 52 kunds used to store rainwater that would suffice a huge battalion for a year. Intricately designed minarets were located which were replaced when the fort was renovated. There are many temples inside the Fort which are dedicated to Lord Shiva and Lord Hanuman. The three statues having inscriptions and an antique building are known as “Jain Pasara”, situated inside the Fort. The description of the fort is found in Ain-i-Akbari and Tuzuk-e-Timuri.